Canyons created by the mighty Marshyangdi River originate from two 8,000m Mountains. 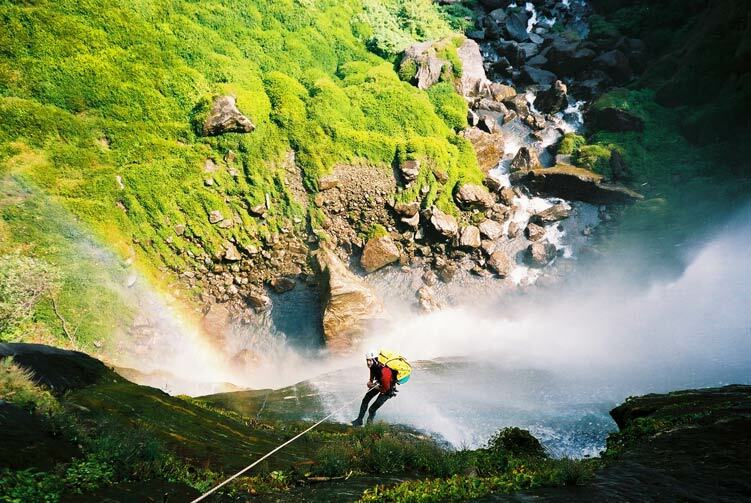 There are a number of canyoning sites opened for professional canyoning trips in this area including the highest canyoning site in the world in NaarPhu at 5200 m. Of note, the Annapurna area is one of the best tourist destinations in the Himalaya for trekking and climbing. The canyons created by the mighty Marshyangdi River & its tributaries originate from two eight thousand meter mountain ranges, the Annapura & Manaslu. Both of the mountain ranges are located entirely within Nepal and the canyoning sites are along the world famous trekking route The Annapurna Circuit. So it is added advantage for adventure seekers who can experience the thrilling canyoning for a couple of days and then continue trekking over the broadest pass of Nepal, The Thorong-La or other destinations. Day 03: Drive to Beshishar-Bulbule, Overnight in Lodge. Day 04: Canyoning in Bulbule Khola & Trek to Ngadi, Overnight in Camp. Day 05: Canyoning in Kabindra Khola at Nagdi, Overnight in Camp. Day 06: Trek to Syange, Overnight in Camp. Day 07: Canyoning in Syange at Gopte Khola, Overnight in Camp. Day 08: Canyoning in Syange at Rendu Khola, Overnight in Camp. Day 09: Canyoning in Germu at Sanchapu Khola, Overnight in Camp. Day 09: Canyoning in Syange at Shyange Khola, Overnignt in Camp. Day 12: Final Departure for your own destingation. 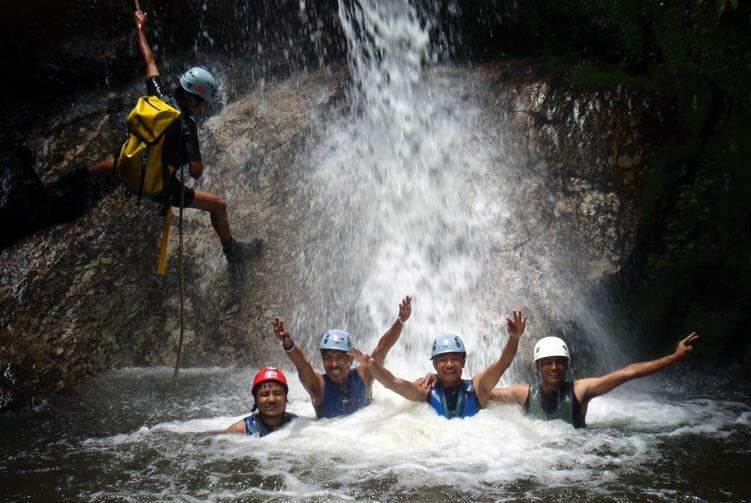 We offer you the best price guaranteed for Marshyangdi Valley Canyoning.